Tomorrow: 88th Annual Detroit Thanksgiving Parade Route And Details! America’s Thanksgiving Parade® presented by Art Van, one of the country’s oldest and most celebrated Parades, will step off at 8:50 a.m. on Woodward Avenue and Kirby and end at Woodward Avenue and Congress in downtown Detroit on Thursday, November 27, 2014. Hundreds of thousands of parade-goers will be watching as the Parade makes its way down Woodward Avenue. The parade will be broadcast LIVE on WDIV Local 4 from 10 am until Noon and on WJR 760 AM. Garlin Gilchrist is exactly the kind of talent that Detroit needed after the economic collapse crippled this once-powerful city. But after the skilled software developer graduated from the University of Michigan, he left the state. Who could blame him? The engineering student had a job offer with Microsoft in Seattle, offering him a healthy paycheck, an attractive lifestyle, and technical skills that would lead to future top jobs in Washington, with activist groups such as MoveOn.org. Michigan, beginning a slump that would last for the better part of a decade, couldn't offer him that. Gilchrist is far from alone in taking this path. It's fitting that he left Michigan in 2004. It's the year young people started fleeing for jobs elsewhere. After 2004, more people ages 22 to 34 left Michigan than came in, according to census data. At its lowest moment in 2006, 68,000 young people moved away from Michigan. And while those numbers have improved gradually in recent years, the state was still losing millennials as of 2012. And worse, the millennials who were leaving Michigan at a highest rate were those with a bachelor's degree or more. Michigan is in the midst of a brain drain. Young people leave their home state for better career opportunities, more efficient and widespread public transportation, and an attractive urban routine. But there are some native Michiganders who have decided to make the move back home despite the state's stigma, bucking the decade-old trend. Gilchrist is one of them. After nine years, he finally decided to come home in July. Gilchrist always planned on returning to Michigan, it was just a matter of time. Like many people from the area, he never really lost his pride in Detroit. He speaks fondly of his younger years growing up on the east side of town. And despite moving to the suburb of Farmington when he was 8, he still went to the city several times of week to visit his grandparents, participate in after-school programs, and compete in basketball leagues. As he jokes, "I probably played on every basketball hoop in the city of Detroit." 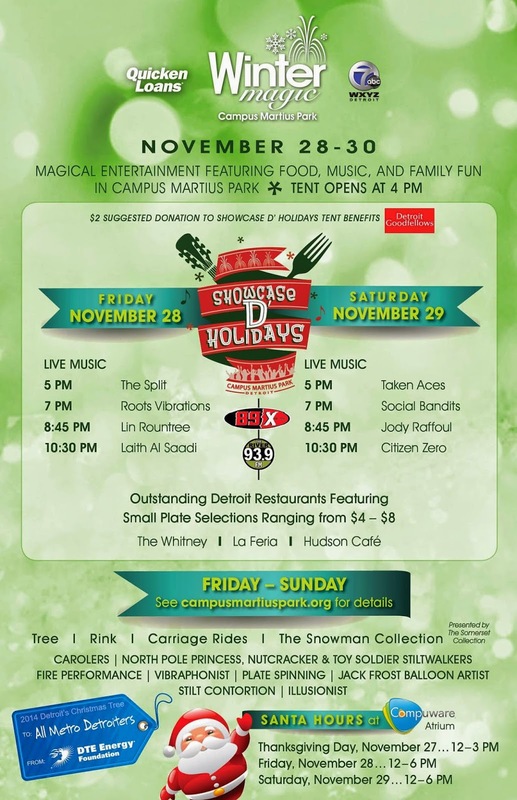 It's That Time Of Year: Detroit Tree Lighting This Friday! Humble Design, a Metro-Detroit based non-profit organization dedicated to helping homeless families in need, is launching a new campaign on November 17th to help raise money to provide beds and home furnishings for families in need. To date, Humble Design has furnished the homes of 436 deserving Detroit-area families. While Humble Design currently services only Detroit families, they hope to expanded their reach not only statewide, but nationwide. There are roughly 16,000 homeless people in Detroit and more than 600,000 across the United States. Included in that number are more that 50,000 American children under the age of 18. Most people take having a bed for granted. Humble Design is asking America to participate in the Jump on the Bed Challenge. Record yourself or loved ones jumping on their beds, donating to Humble Design, and then challenging your friends to do the same. Using the social media hashtag #humblejump, Humble design will feature videos and posts on their official website. All proceeds raised will benefit hundreds of families in need of beds and furnishings. Visit humbledesign.org or jumponthebed.com to donate to the cause and for more information on the Jump on the Bed Challenge. Standing in the middle of downtown Detroit, it’s hard to believe you’re in a city that went belly up. At 5 p.m. on any given workday, you’ll see the hipster hordes of 20-somethings in skinny jeans and nerdy-cool glasses who work at the dozens of tech and design startups in the center of the city start to convene. Milling into Campus Martius park, they’ll have a mojito at one of the nearby bars or watch an open-air musical performance. Kids play in the park’s sand pit, and teenagers shoot hoops at basketball courts buffered by luxury condos where the waiting list for $2,500-a-month studios can be two to three months long. Neighboring boutiques sell everything from interestingly shaped cork handbags. Selfies have taken over the planet. Whether you’re out to dinner with a bunch of friends, at a local sports game, or just in your car and having a great hair day, there’s one thought in the back of all of our minds: “Pics or it didn’t happen.” Therefore, we selfie-snap away. And we’re no haters to the selfie trend, unlike many others out there. If you are having a great day, why not show it off to all of your Instagram followers? Or maybe you had a great day last week and you want to remind everyone… #TBT that pic! We love a strong selfie game, and we’re not afraid to admit it. Selfies on vacation or when you are visiting someplace new are especially exciting. You get to show off to all of your friends where you have been traveling, all of the delicious local cuisine you have been eating, and just how much fun you’re having while they're stuck at home. Plus, it’s fun to look back on all of the different places you and your face have been once you return home. If you are traveling to Detroit, or if you live here already but want to take your city selfies to the next level, we’ve got you covered. 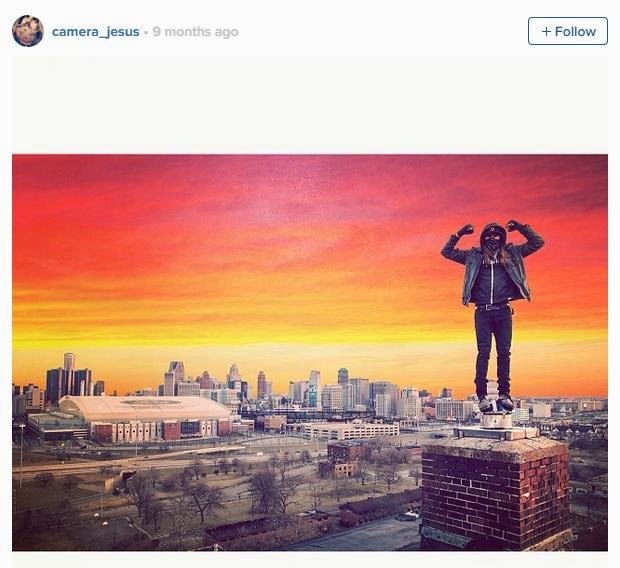 Today we have compiled some of the best, most iconic photo spots that are the picture-perfect place to snap selfies while you are in Detroit. So stretch out your picture-taking arm, get your filter ready, and start snapping away. Also be sure to tag us (@HelloInnovation) in your Detroit Instagram photos so we can give some love to our favorite Motown selfies! Once, I was showing some space to a chef de cuisine from Boston and I asked why he had chosen to open his first restaurant of his own in Detroit instead of Boston or New York. His response included a predictable answer and a not-so-predictable answer. The predictable answer: those East Coast markets are saturated, and he had already achieved everything he could on the Boston scene. The less predictable: he wanted to be in Detroit because it seemed like Detroit businesses took the mentality that they were all part of a team effort instead of pitted against each other to the death. My time here in Detroit has proved that to be all too true. Businesspeople partner up on projects, host one another's events and support one another's causes. I have found that this phenomenon extends beyond businesses to the city's inhabitants themselves. Engaging in any more than a perfunctory conversation with a stranger inevitably yields the exchange of a shared commitment to strengthening the city. Detroit is still admittedly a tough place. Those who choose to be here grasp life at its deepest level. 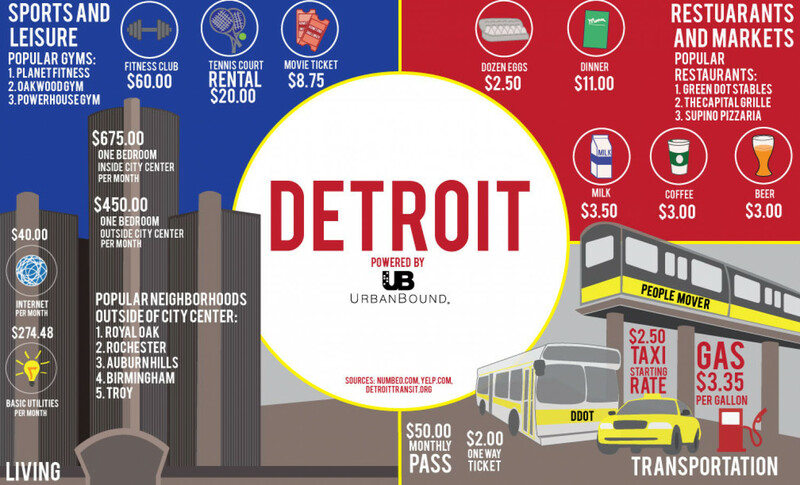 And the energy Detroit has isn't something you can pinpoint. If you go around looking for it, you won't find it because you can't really see it. The people here are rooted in something spiritual that renders the challenges of the built environment less material. In true millenial fashion, I generally eschew groups, categories and crowd mentalities. But for perhaps the first time I truly feel like I am a part of a larger project. This is surely part of what has made Detroit into a fashionable location for twentysomethings. Just as a new vision of Detroit has captured the American imagination, Detroiters hold onto an authentic certainty about this life that is totally intangible yet totally definite.